Wanda Fay Abbott, age 66, of Macclenny, Florida passed away on Friday, March 2, 2018 at Heartland Health Care Center in Jacksonville. 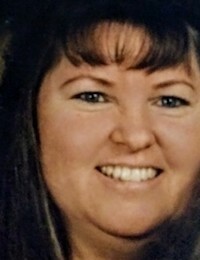 Wanda was born on February 2, 1952 in Jacksonville, the daughter of the late Paul and Inez (Flynt) Selph and had lived in Baker County for the past 25 years. She was a caring mother, grandmother, great grandmother, sister, and friend who enjoyed shopping, taking trips up to the mountains, and sharing her time with her family. Ms. Abbott was preceded in death by her parents; and her sisters, Glenda Feagle and Janice Selph. She is survived by her daughter, Kelly Brogdon (Randy) of Glen St. Mary; stepmother, Daisy Selph; brothers, Leonard Selph (Claudia) and John Selph all of Jefferson City, MO; sisters, Gloria Taylor of Jacksonville, Angie Flynt (David Pembelton) and Regina Cooper both of Macclenny; grandchildren, David Abbott (Ann), Ashley Abbott, and Dakota Canaday; and 8 great grandchildren. A Memorial Gathering with visitation for family and friends will be held 6:00 - 7:30 p.m. on Wednesday evening, March 7, 2018 in the chapel of Blackburn-Curry Funeral Home. Arrangements entrusted to the care of BLACKBURN-CURRY FUNERAL & CREMATION, 380 N. Lowder Street, Macclenny, Florida. 32063. (904) 259-2806. Online at www.blackburncurryfh.com.